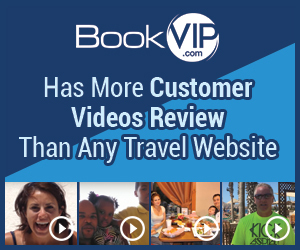 Next review Bookvip - They change terms and conditions as they like, I was considering buying so I made sure that I met the qualifications before I hit book on their site, didn't meet the new ones due to age. We were very surprised to receive your comments as it looks like they were sent just before we resolved the issue. We immediately responded to the email sent directly to my attention on 1/20 and you were promptly contacted by a supervisor to help you locate a resort for which you were qualified. After a pleasant conversation, you were sent a personal email listing specific resorts in Orlando which offer promotional packages to Florida residents with debit cards. You were also advised to check the Terms and Conditions listed at the bottom of each resort offering page to ensure you qualified as to income, age, etc. You called later in the day and booked another resort for which you were not qualified. You were contacted again the following morning and after another pleasant conversation, you agreed to review the resort offerings presented via email yesterday and also agreed to remove your posting. Unfortunately, at the end of the day, we were unable to assist you because of the qualifications set forth by the resort for the special promotional package and your travel dates. Review #774214 is a subjective opinion of User774214.